When a teenager has acne, a pediatrician has a wide range of options for treatment. The physician could prescribe benzoyl peroxide, antibiotics or retin-A. If those medications are unsuccessful, the physician can then refer the teen to a dermatologist. Nevertheless, many pediatricians refer patients to specialists early in the process of treating acne, a practice that increases healthcare costs. To address this and other areas of inefficiency and to improve the overall quality of care, the Children's Hospital of Orange County, in a partnership with Rady Children's Hospital-San Diego, started a population health initiative in mid-2016. It aimed to lower the cost of care for asthma, bronchiolitis, community-acquired pneumonia, headaches, acute gastroenteritis and acne—six common conditions among children and adolescents. The initiative created evidence-based guidelines for those conditions, established patient registries so that providers could share clinical data and enhanced medical record systems to improve communication and cut duplication. It aimed to reduce unnecessary care and procedures such as emergency department visits, hospitalizations, tests and referrals—including pediatricians unnecessarily handing off teenagers with acne to dermatologists. “The thought process was, if we could use our experts in various fields to help create applicable, readily usable guidelines to help reduce variation in care, we'd be able to improve quality, reduce cost, improve access and really move into a value-based paradigm for pediatrics,” said Dr. Michael Weiss, head of Orange, Calif.-based CHOC's division of population health, who is leading the initiative. 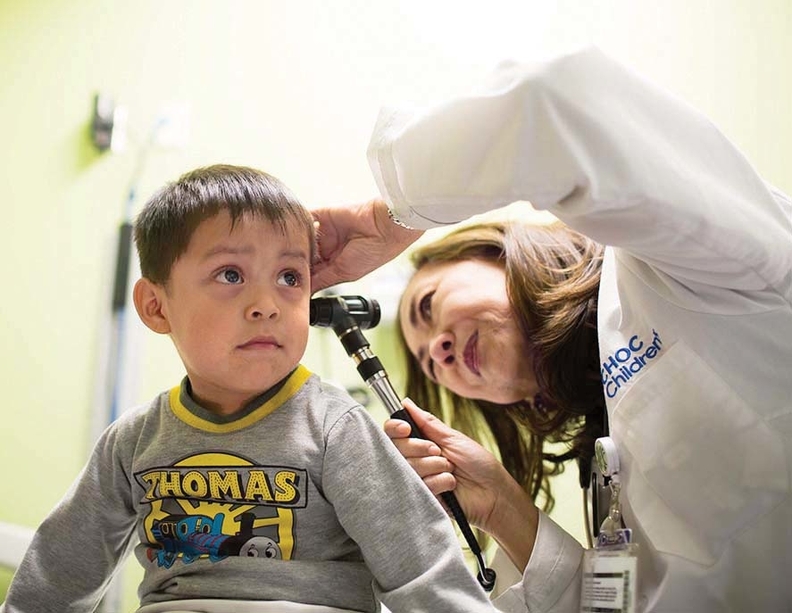 The full initiative involves 1,450 pediatric primary-care providers and specialists. It received funding through a $17.7 million grant from the CMS. Previously, a pilot program showed a year-over-year decrease of 18% in visits to the emergency department for asthma. Among patients in one of CHOC's clinics, that amounted to more than $1 million saved every year, Weiss said. Under the initiative, evidence-based medicine committees developed practice guidelines for each condition and vetted them with primary-care providers. They embedded those practices in electronic health records, provided them to doctors on paper, then visited those doctors to walk them through the guidelines, which aimed to reduce variation in care. Implementing guidelines for neuroimaging saved the system about $350,000 over six months, Weiss said. They reduced unnecessary neuroimaging such as brain MRIs; physicians might previously have ordered those when, for instance, parents were convinced by their internet research that their child's headache was something catastrophic. The initiative also gives providers data on how well they perform and adhere to those practices. Although most of the performance data reflects Medicaid beneficiaries, the hospital is working on gathering data on commercially insured children, too. For the initiative, CHOC hired new staff, including a manager, two data analysts and seven or eight quality improvement advisers, using funds from the CMS grant. Separate from the grant, CHOC has also been working on care team models that include care coordinators and social workers. These staff members, especially the social workers, connect parents with food, shelter and transportation. In surveys, patients have described these resources as especially useful, Weiss said. “They're being very proactive in trying to understand the environment of the children and families that they care for,” Brindis said. The model also created the proper financial incentives for the healthcare system to prevent children from becoming sick, instead of profiting when they are.